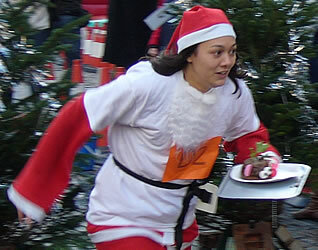 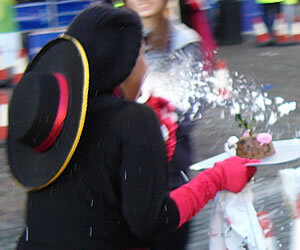 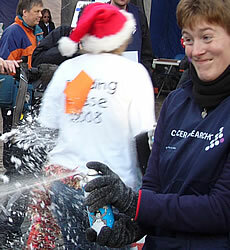 In 2011 the Great Christmas Pudding Race will be on Saturday 3 December from 11am to 1pm. 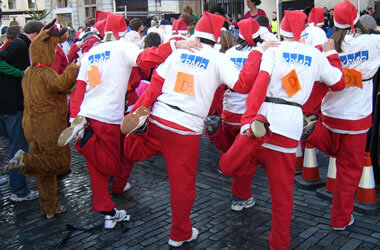 This unusual event has taken place in Covent Garden every December since 1980. 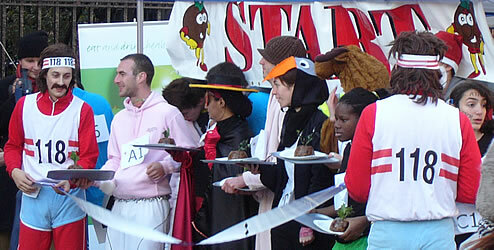 Teams represent schools, universities, companies or other organisations. 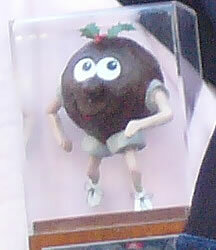 They race around an obstacle course carrying a Christmas pudding. 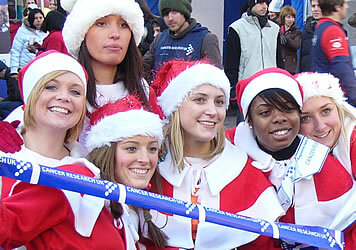 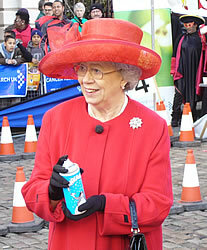 It raises money for the charity Cancer Research UK. 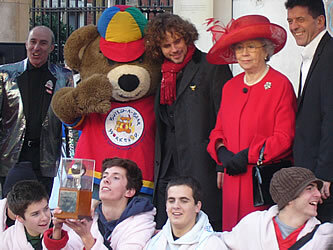 The photos below were taken in December 2008. 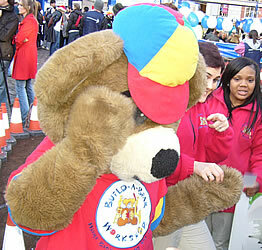 Among those entertaining the crowd are Bearemy from the Build-a-Bear Workshop, and the "men from 118 118" (characters used in a TV campaign for a UK phone directory service). 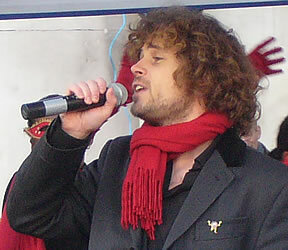 Seamus Cullen was a finalist in the TV talent contest "Any Dream Will Do", and currently plays the role of Che in a UK tour of the musical Evita. 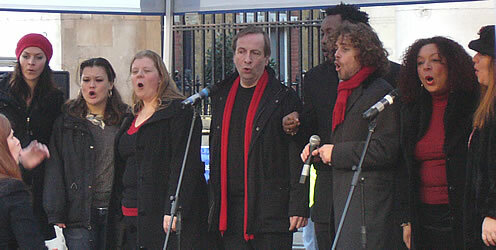 He performs several seasonal songs on stage, both solo and together with the Many Rivers Gospel Choir. 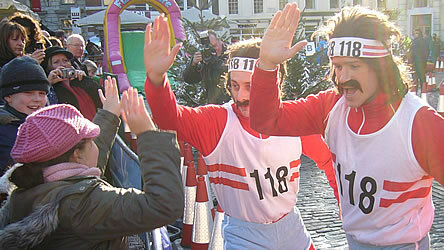 The teams warm up for the race by doing some aerobics. 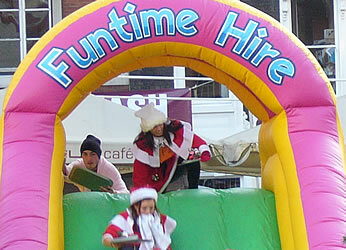 Even Santa and his reindeers are feeling the cold. 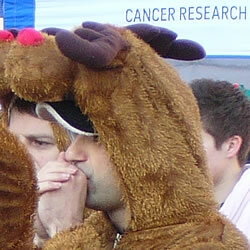 Each team is made up of 6 people and has raised money for Cancer Research UK through sponsorship. 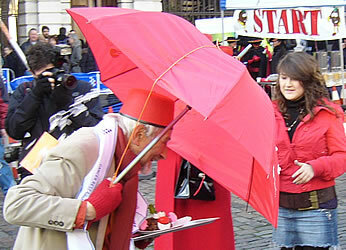 They line up at the start. 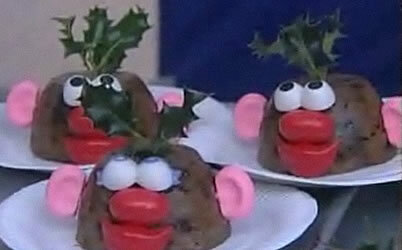 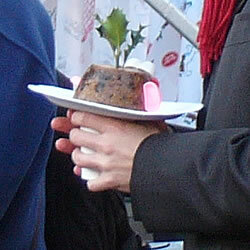 Each person carries a plate with a decorated Christmas pudding. 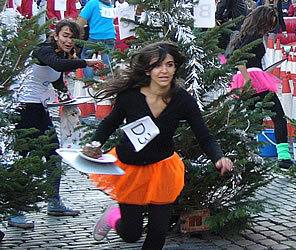 The teams race over an obstacle course, collecting objects as they go. 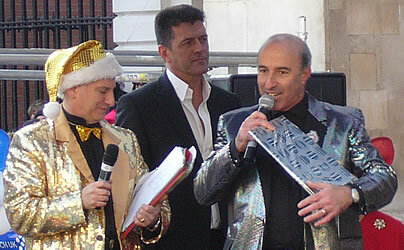 The costumes are judged and the best is presented with a trophy. 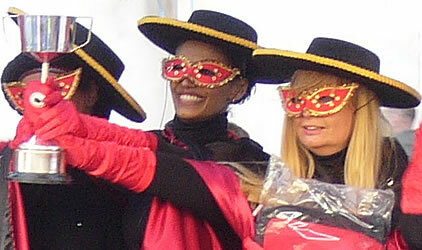 This year's winners dressed up as Zorro (a Spanish sword-fighting hero). 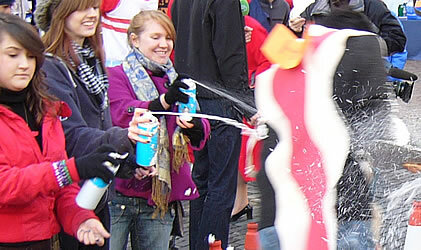 If you would like to take part in next year's event, you can use this link to find out the details and to apply.